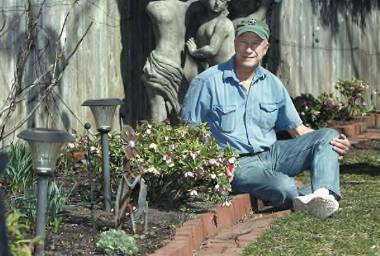 Expert: Early spring risky for some plants – McLeese Landscapes, Inc.
It’s uncommon but not unprecedented: An early spring leads to plants and trees starting to bud. “We’re about a month early,” said Joe Sulak, urban forester for the city of Columbus. But danger still lurks for plant life, which is responding to a mild winter and a long streak of above-average temperatures. Freezing temperatures, snow and frost can damage flowers, leaves and fruit that have started to “flush,” or bloom, Sulak said. Some early-blooming flowers — like daffodils and tulips — and trees — certain types of cherry, crab apple and magnolias — might be more susceptible to a late surge in cold weather, he said. However, the plants will sustain no long-term damage, Sulak said. Gardening enthusiasts are not helpless in the matter. Similar to protecting them from fall frost, gardeners can cover flowering plants at night and uncover them during the day, Sulak said. People should follow the same planting guidelines for annuals and perennials as they would during a typical winter. Tree plantings should not be a problem because ground temperature is important and the ground is not frozen this year, he said. The steady warm temperatures pose another potential annoyance for humans: an increase in the number of flies and mosquitoes, Sulak said. The Climate Prediction Center, part of the National Oceanic and Atmospheric Administration, forecasts above normal temperatures for March, April and May. Dave Gaumer, the owner of Garden Bouquet, a landscaping service in German Village, said it’s not quite time for people to panic about their plants. “A lot of these perennials are really hearty in cold weather,” he said, referring to some that are coming up early, such as witch hazel, snowdrops and Lenten roses. However, Gaumer said, he is watching the thermometer. If the temperature dips below 28 degrees, the frosty weather could cause problems for plants that are more susceptible to the cold. He does see an upside to the warm weather. “It’s going to be a beautiful spring,” Gaumer said. Posted in Seasonal Information and tagged Early Spring, Seasonal, Spring Plants. ← Will Warm Winter Wither Plants?